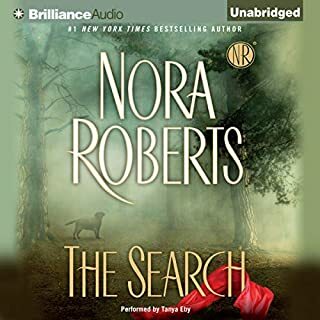 When she hears that her younger brother, Danny, has committed suicide, Sayre Lynch relinquishes her vow never to return to Destiny, the small Louisiana town in which she grew up. She plans to leave immediately after the funeral but soon finds herself drawn into the web cast by Huff Hoyle, her controlling and tyrannical father. Hoyle owns the town's sole industry and runs the lives of everyone who lives there. Her father and older brother, Chris, are as devious as ever with their new partner in crime, a disarming lawyer named Beck Merchant. When Sayre is thrown in closer contact with Beck, she senses something more sinister is at play. 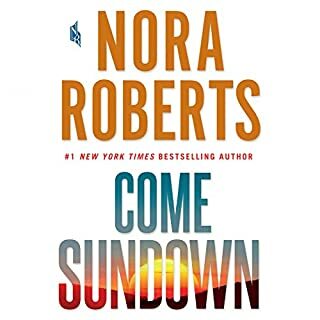 As she sets out to learn just what did happen to Danny, Sayre is inextricably drawn into a struggle with striking laborers, her unscrupulous father, and her growing love/hate relationship with Beck - a man with mysteries of his own. 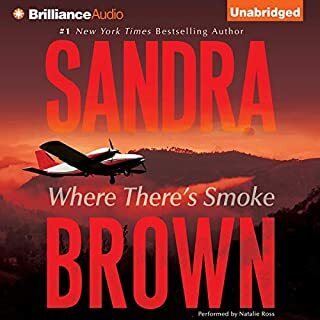 A brilliant combination of hard-edged suspense and intense emotion, White Hot is master storyteller Sandra Brown at her very best. 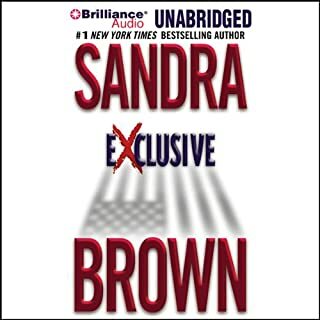 ©2004 Sandra Brown Management, Ltd. All rights reserved. I have owned this same recording on Cassette, and downloaded from the publisher. 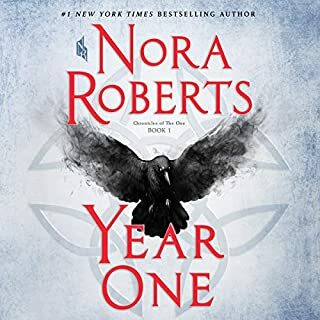 I have repeatedly requested Audible to get the full length version since 2011. Well hallelujah, I was surfing reads by Narrator Victor Slezak, and found this full length recording was finally on Audible. 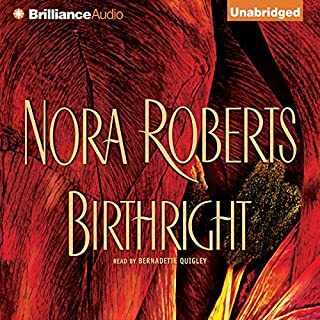 Audible has the 1.25x speed which matches the authors intention and makes this story bloom to life. I love this speed for any Mystery or Action genres. Give it a try and see why I have requested this full length version and re purchased it once again so I could enjoy it at this listening speed. This story, Smoke Screen, and Lethal are my top faves of Mr Slezak reads. I do own all of Mr Slezak Sandra Brown narrations including the tear jerkers Rainwater and Smash Cut which both require tissues. 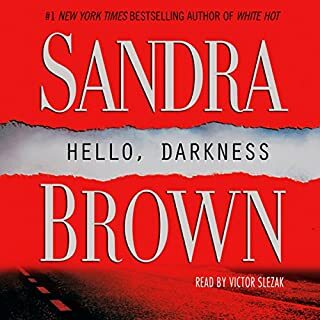 White Hot stands the test of time as a great Sandra Brown novel. The publishers summery is spot and this novel has Ms Browns signature surprise ending. However, it is the characters including the infamous Frito, hence my title, which makes this a story worth a revisit. Each of the scenes that have Frito in them are my top faves, and not to be missed. This story is set in the Bayou country and Mr Slezak narration puts you right there in the yellow mud. At the drive up fish shack you can taste the eye watering hot sauce on the freshly fried shrimp poor boy sandwiches. He is outstanding in this read. Do not miss Ms Browns, Mean Streak, read by the great Jonathan Davis of the Star Wars novels. After you hear him narrate Mean Streak, you will go looking for his mystery narrations and become a fan! Kept me hooked from start to finish! And Victor Slezak can do no wrong as always. Wow, I knew who it was then I did not. Then I know again and again not. As always Sandra tells a story like no other. 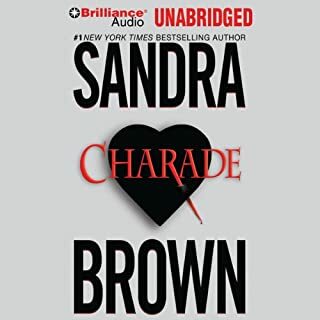 Love Sandra Brown and everything I have read of hers. Brown's books are so well written! Also, love Victor Slezak's performance of her books. He has a great ability to really distinguishes the different characters nicely. Great story, especially for safety geeks! 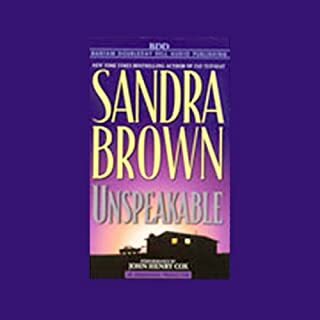 great book for safety people, it's got romance, mystery, and deception, something for all people. 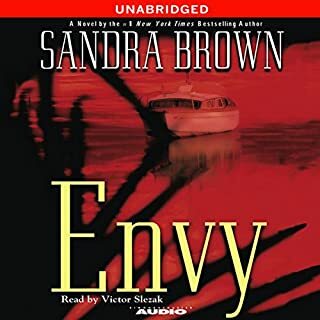 Sandra Brown 's wonderful imagination writes great entertaining stories and when read by Victor Slezik they are even better. This one you will enjoy. Listening in the traffic of Boston, it is a perfect story of intrigue and steamy interludes. And no one in the cars around knows! Really held my interest. Had a few surprises I didn't see coming. I always enjoy Victor Slezak's performance. What a great and intense book. Enjoyed it very much. Will recommend it to all my friends. Held me through til the end. Loved the ending. I Sure would like a sequel.